Litigation is sometimes the best or only course for the resolution of a business dispute. Unfortunately, litigation is an adversarial process that can take months or years before the matter is ultimately resolved. Often it is imperative to move much more swiftly to protect essential business rights and interests. The Schwartz & Salivar Legal Team is highly experienced in the process concerning emergency injunctions and other pre-suit hearings. Temporary and permanent injunctions are a highly-specialized area of litigation and the law, and the Schwartz & Salivar Legal Team is one of the few south Florida firms to excel in this field. In all of these situations, irreparable harm may occur if action is not taken immediately. Also, sometimes money damages are an incomplete remedy to make up for legal harm, such as the damage caused by the loss of trade secrets or a unique piece of real property. Waiting for the damage to occur and then attempting to obtain compensation for the harm after the fact simply isn’t an adequate solution. The Boca Raton temporary & permanent injunction attorneys at the Schwartz & Salivar Legal Team move swiftly and expertly to protect vital business interests before harm occurs or the damage becomes extensive. Even though a preliminary injunction motion occurs very early in the litigation process and normally before the evidence in the case is fully developed, it is necessary to prove a likelihood of success at trial in order to convince the court to grant the injunction. As experienced courtroom litigators, the firm’s attorneys are adept in building and presenting a strong case for a successful injunction or other motion. We know from experience what it takes to win at trial, which furthers our firm’s strong record of success in pre-suit hearings. For help with any business or real estate dispute in Boca Raton, Fort Lauderdale, and throughout Palm Beach and Broward counties, count on the Schwartz & Salivar Legal Team, providing comprehensive advice and representation in litigation from pre-suit hearings to verdicts and judgments. 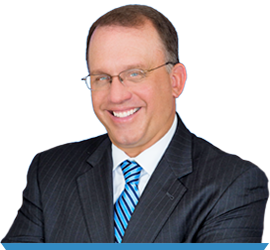 Call our Boca Raton temporary & permanent injunction attorneys at 561-347-6767.